Here are the country’s top locations for surfing, hiking, and more. 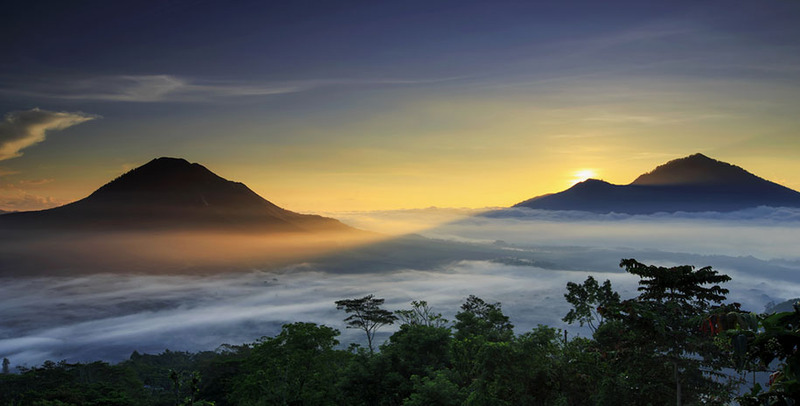 From quiet beaches to lush rainforests, Bali offers a wide range of terrain for active bodies. Here are four regions that offer travel-worthy exercise choices year round. 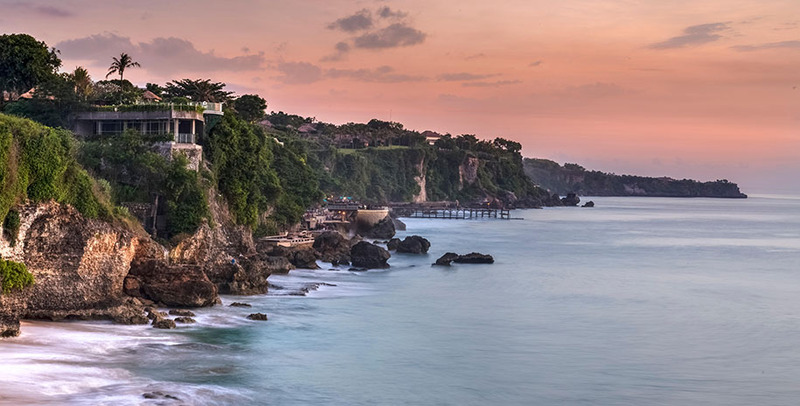 On the southern tip of the Bukit Peninsula, Uluwatu has long reigned as Bali’s premiere surf town. 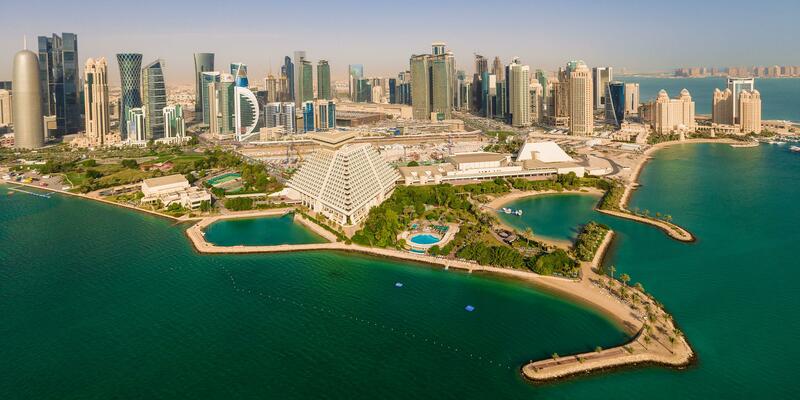 Seven deserted and hidden beaches have wide reef breaks, like The Peak and Outside Corner. You can access the water through two rocky cave entrances near Single Fin surf shop. Paddle out during low- to mid-tide and spend hours riding perfect waves. Thanks to rugged peaks and deep sea water along the coast, Jimbaran Bay is where adrenaline junkies congregate for thrilling dives. 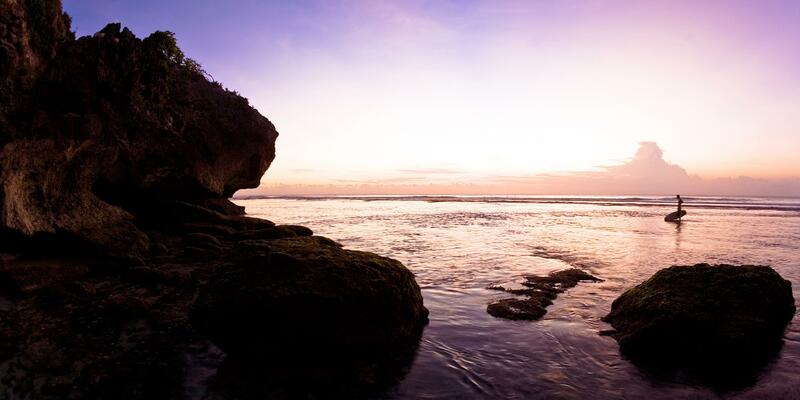 Head to Jimbaran Point Cliff, where you can jump from 20 feet high into crystal-clear water. Rent or bring your own snorkeling gear to see the array of colorful fish. Or, near Tegal Wangi beach, a location with few tourists, there’s a popular 30-foot drop into the sea. 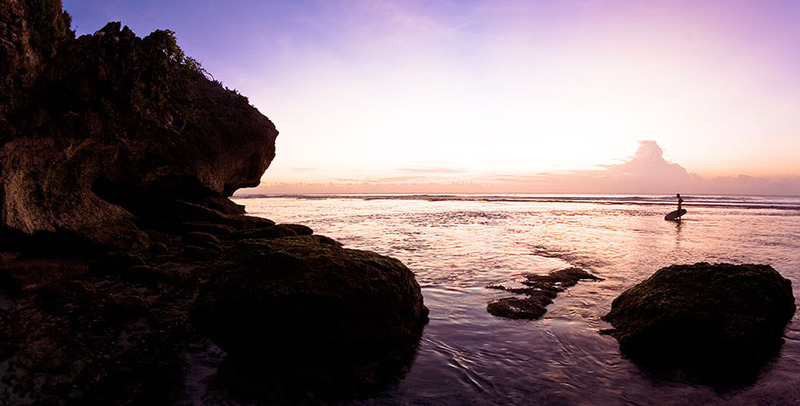 You’ll find natural rock pools to relax in if you come during low tide. Ubud is famous for its art galleries, shrines, and ancient temples in lush greenery. Go for a hike along Ayung River, through sprawling rice terraces, and deep into the jungle. Most resorts have dedicated in-house guides or they outsource to reputable tour operators. There are plenty of different hikes you can choose from, whether it’s exploring hidden waterfalls or crossing paddy fields with local farmers in traditional villages. If you’re feeling ambitious, you can opt for a 10-hour sunrise hike to Mount Batur, Bali’s second tallest volcano (5,600 feet), which starts at 3 a.m. In East Bali, off-the-beaten-path, Karangasem is known for small villages, scenic green valleys, and incredible sea views from towering cliffs. 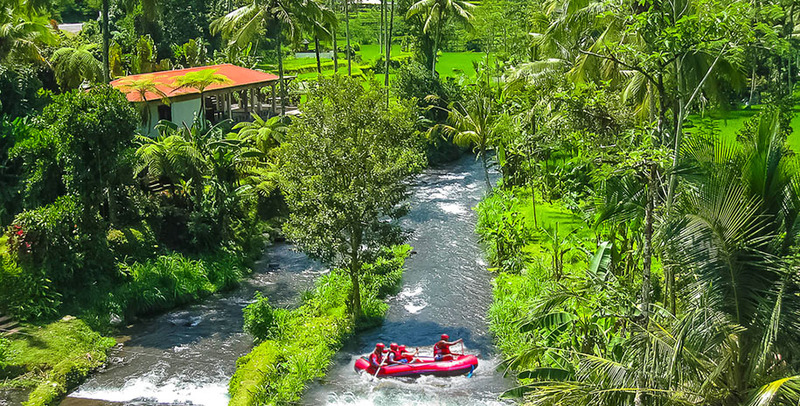 Most travelers will head out this way for whitewater rafting on the Telaga Waja River, the only place in Bali for intense category III and IV river rafting. Telaga Waja is more aggressive and thrilling than Bali’s other rivers, and goes about 10 miles long, snaking through green fields and along cliffs and waterfalls. Outfitted in a lifejacket and protective headgear, you’ll get a great upper-body workout thanks to rigorous paddling over the course of the two-hour journey.